Forget everything you know about traditional insurance agency acquirers; our partnership model facilitates the perpetuation of the entrepreneurial culture and independence that is the hallmark of your success. The opportunity to take some chips off the table while staying engaged in the business and build an enduring legacy together. A strategy for internally perpetuating equity while receiving liquidity upfront. We partner with fellow entrepreneurs and Agency leadership during a transaction. We utilize a hybrid transaction structure called a strategic recapitalization, which allows the entrepreneur(s) to receive substantial cash, while retaining meaningful ownership and typically allows the entrepreneur(s) to remain an active and vital leader in the business. BRP prefers to partner with existing entrepreneurs who retain equity, however, from time to time we realize that individual needs may necessitate selling 100% of your agency. We are open to that dialogue and transaction. Entrepreneurs retain meaningful ownership in the company and receive substantial cash at closing, reducing risk of an otherwise concentrated investment. 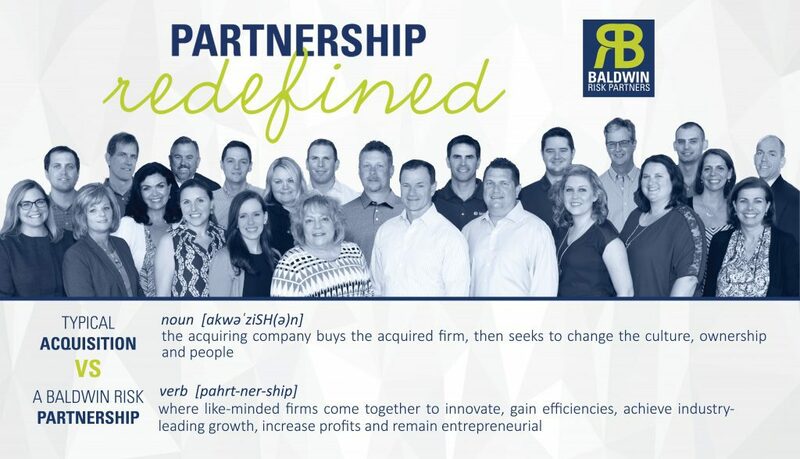 Baldwin Risk Partners is a boutique entrepreneurial organization. Business owners enjoy capital gains on the cash received at closing and, in most cases, a tax deferral on any stock rolled in the transaction. Leadership and key employees can build significant personal balance sheet value through participation in the recapitalization, stock options, and performance based equity incentives. 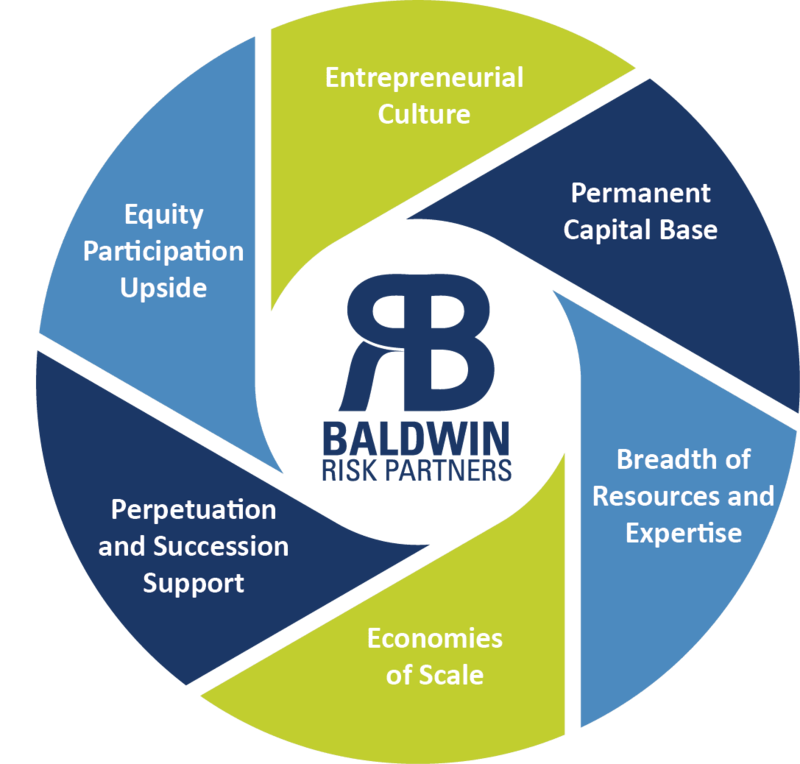 Baldwin Risk Partners encourages management participation in all strategic recaps. A strategic recap with Baldwin Risk Partners maintains continuity of many of the business practices and culture attributes that made the company successful in the first place..
Baldwin Risk Partners’ infusion of capital eliminates all of the entrepreneurs’ personal guarantees, allowing leadership to focus on taking the business to the next level.